Massage therapists manipulate the body’s soft tissues and muscles in order to address client issues of slow circulation, injuries, pain, and general stress. Massage therapists use their skills to help clients relax, and help ensure clients’ general wellness. Massage therapists are a crucially important resource for increasingly large numbers of people, and continue to be in strong demand. Massage therapists have many different duties and responsibilities. They must communicate with clients, gathering information on the symptoms experienced, client medical history, and the results the client is hoping to achieve. Massage therapists must carry out evaluation in order to ascertain locations of tense and/or painful areas of the client’s body, and manipulate the body’s soft tissues and muscles. These professionals must give patients guidance and advice with regard to posture improvement, relaxation, stretching, and strengthening. Massage therapists must keep detailed records of each client’s conditions, as well as his or her progress. Many massage therapists (especially those who are self-employed) have substantial administrative tasks. Massage therapists have professional expertise in using their fingers, hands, elbows, forearms, and even occasionally their feet to carry out their work. These professionals use massage chairs and tables in client treatment. They also sometimes use oils and lotions on their clients. While some massages can have a very short duration (for example, five or ten minutes), others can be much longer (for example, in excess of an hour). Massage therapists are experts in knowing the most appropriate types of massage techniques for each individual client. You will learn all about massage therapy tools, equipment, and techniques when you complete your massage therapy education and training program. If you become a massage therapist, you will have the option of choosing a specialty. Examples of massage therapy specialties include sports massage, Swedish massage, and deep-tissue massage. However, the majority of these professionals are generalists, and practice in many different areas. Massage therapists are able to find work in many different workplaces. Examples include fitness centers, spas, hotels, franchised clinics, and doctors’ offices. It is quite common for self-employed massage therapists to work out of their homes, and/or to travel to the homes or offices of clients. If you are self-employed, you will need to provide your own supplies (such as body lotions and oils, a massage table and/or chair, pillows, and sheets). Some massage therapists who work for other people have to provide some of their own supplies. Most massage therapists, even those who have always liked the idea of starting their own massage therapy business, end up working for someone else for at least a period of time before trying to undertake this task. This is wise, as the experience you will gain in doing so, as well as the client base you will likely have the chance to build, will give you a great advantage when you go through the difficult process of starting a business and making it thrive. What Qualities Will I Need to Succeed as a Massage Therapist? What is a Massage Therapist’s Typical Day? The duties and tasks that fill up a massage therapist’s typical day depend to a great extent on the specific type of workplace in which the therapist works. Remember that massage therapists can be found in a wide variety of different settings, including, for instance, wellness and rehabilitation centers, chiropractic and doctors’ offices, assisted living facilities, hotels, corporate and private offices, spas, hospitals, fitness centers, and even shopping centers. Let’s discuss the typical day of a massage therapist working in a spa. Saturdays are usually the most hectic day in spa environments. It is common for a massage therapist in a spa to have to carry out four or five massages before taking a long break (usually about an hour). Once their break is finished, they will often need to do four or five more massages before the workday is through. As can be imagined, this workload demands a great deal of physical strength and stamina, as well as dedication and love for one’s work. Massage therapists in spa environments are often required to do administrative work, and can be frequently called upon to administer non-massage spa treatments in addition to the usual massage appointments. 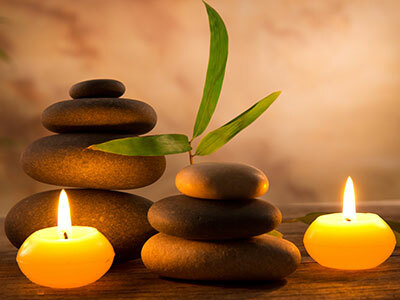 Working as a massage therapist in a spa environment means that your focus is on helping the clients relax and have a luxurious and enjoyable day. This is different than your focus would be if one were working in, for example, a chiropractic or doctor’s office, or in a wellness and rehabilitation center, where the main focus would be on helping the client relieve and heal his or her condition. How to Become a Massage Therapist in the State of Illinois? If you wish to work as a massage therapist in Illinois, you will first need to complete a massage therapy training and education program at a school that has been approved by the state of Illinois. The program must involve a minimum of 500 hours of training. Once you have successfully completed your educational program, you will need to take the MBLEx exam (the Massage & Bodywork Licensing Examination). Passing this examination will allow you to apply and receive license to practice as a massage therapist in Illinois. The MBLEx exam was developed by the Federation of State Massage Therapy Boards (FSMTB). When you are preparing to take your exam, you might find the Massage Exam database very helpful. It has more than 3,500 questions that will help you prepare for the exam. You will need to get a subscription to the database. Once you have successfully written and passed the exam, you will need to apply through the Illinois Department of Professional and Financial Regulation to obtain a massage therapist Illinois state license. When you apply for your massage therapist license in Illinois, you will need to properly complete and submit the Massage Therapist License application. Most massage therapy educational programs require a high school diploma or equivalent for admission. You will find that your educational program in massage therapy involves both hands-on practice and classroom study. Subjects for classroom study often include kinesiology, pathology, physiology, ethics, and business management. Many institutions offering massage therapy programs offer job search and placement assistance, as well as opportunities for continuing education. You can study massage therapy on either a full-time or part-time basis. It is very possible that you will have to pass a background check. You will also likely need to buy liability insurance. Massage therapists often need to have certification in cardiopulmonary resuscitation (CPR). The median salary for massage therapists in the United States is $38,040 (hourly wage of $18.29). The field of massage therapy is growing much more quickly than the average of other occupations. It is important to know that the majority of massage therapists earn their money through both wages and tips. What about massage therapist salaries in Illinois? In the city of Chicago, Illinois, the median annual salary for a full-time, experienced massage therapist is $49,677 (with a range of between $44,461 and $57,067). Note that like in most professions, you are likely to earn large salaries in big cities (such as Chicago) than in smaller cities, towns and rural areas. For example, in Peoria, Illinois, the median salary for experienced massage therapists is $43,130 (with a range of between $38,601 and $49,546). Your salary will also depend on various other factors such as the specific workplace, the employer, and your level of experience. As we have seen here, salaries for massage therapists in Illinois tend to be higher than the national average of $38,040. This makes Illinois an especially great state in which to complete your education and practice as a massage therapist. Some massage therapists are self-employed and have their own businesses. If you think you might want to go this route one day, you will need to ensure that your business skills (such as in the areas of financial records maintenance, appointment booking, and marketing) are at a level of competence. Around 50% of massage therapists are self-employed. It is very common for massage therapists to work on a part-time basis (about half of these professionals do so). One of the best parts of being a massage therapist is the fact that working in this field generally provides a good level of flexibility with regard to work-life balance and scheduling. It also provides solid opportunities for advancement and salary growth. What are the Advantages and Disadvantages of Different Workplaces? Each of the many workplaces in which massage therapists can find jobs have their own specific advantages and disadvantages. Having an idea of what these advantages and disadvantages are will be very helpful in your process of career planning and goal setting. Let’s discuss the advantages and disadvantages of working in a spa. One advantage of working in a spa is that it is common for massage therapists in such environments to consistently receive generous tips (gratuities) from clients. Another is that working in a spa will give you the opportunity to have co-workers who are also massage therapists. This can help you feel a greater sense of connection with the massage therapy professional community. A third advantage is the fact that it is becoming increasingly common for spas to give benefits packages to their full-time massage therapists. This might include not only health insurance but also retirement planning options, vacation time, and sick days. Working in a spa also offers the advantage of having support staff who will take care of all the administrative tasks. Disadvantages of working in a spa include the reality of the pressure to make sales. Working as a massage therapist in a spa, you will very likely be given sales goals and expected to sell products to clients. If you feel that this would make you uncomfortable or it is just not something you want to do, you might want to think about choosing a non-spa work environment. Another disadvantage of spas is that the wages or commissions tend to be lower than in some other workplaces. While this is true, however, it is important to keep in mind that the spa is covering very substantial overhead costs. A third disadvantage of spas is that they can present a very fast-paced work environment, especially on busy days. You might be given very little time between bookings. And a fourth disadvantage of working in a spa is the fact that you will probably often have to work potentially inconvenient hours. The busy periods for spas tend to be on evenings and weekends, and that is when you will most often be asked to work. Let’s discuss the advantages and disadvantages of working in a chiropractor’s office, too. One major advantage of working in this environment is that you will have the chance to make connections and build up your base of clients. Another advantage is that you will be working as part of a care team, and will gain a great deal of experience in communicating with other professionals and in demonstrating confidence in yourself as a professional. One disadvantage of working in a chiropractor’s office is that you might need to work in ways that were not directly addressed in your massage therapy education, and you will need to demonstrate a high level of flexibility to deal with this.